Life is unpredictable and uncertain. And everyone who has a birthdate will also have a death date. We can’t predict when that day will come, but we can prepare for it. One of the most important ways to prepare, if you have dependents or people who rely on you for financial support, is to obtain life insurance. In this article we will give you a complete understanding of life insurance: how it works, why you need it, what kind of coverage options are available, and how to find the policy that best fits your needs. This is a guide to life insurance and it can help you as you make contingency plans to care for your dependents after you have passed away. Life insurance is a contract between an insurance company and an individual. In exchange for a premium, the insurance company agrees to lump-sum payment, also known as a death benefit, in the case of the individual’s death. Life insurance is a tool to manage your risk. If other people rely on you financially, life insurance is a way to continue to provide financial means to those people if you die and are no longer able to provide a regular income. You are reducing the financial risk of those that are left behind. Just as a homeowners’ policy or a car insurance policy protects you from losses resulting from an accident or unforeseen event, a life insurance policy provides the same kind of protection for your life itself. It does this by helping to mitigate the financial impact that occurs when life ends. It will help those left behind cover funeral expenses, pay outstanding debts, resolve remaining mortgages, afford educational expenses, and replace lost income sources. One of the most important purposes of life insurance is to give peace of mind. It does so by reducing stress and financial burdens at the time of loss for remaining family members, and also by giving the insured individual reassurance that his or her loved ones will be taken care of in the event of their death. A life insurance policy is essentially a contract involving four parties. The insured is the person upon whose life the policy is written. The policy owner is the person responsible for making premium payments to the insurance company. Many times this person is the same as the insured. receives the premiums, and pays the benefit in the event of death. And the beneficiary is the person that will receive the lump-sum death benefit if the insured dies. The beneficiary can be a single individual or multiple individuals or even a trust. It is simply the entity or entities that will receive the death benefit in case of a claim. The death benefit is the agreed upon sum of money an insurance company pays to those beneficiaries that are listed in a specific policy. Beneficiaries receive the death benefit only when the insured dies and the premiums have been paid. The total amount of the death benefit varies from policy to policy, depending on the wishes of the owner of the policy. Establishing the right amount for the death benefit is a matter of evaluating the needs of the beneficiaries. A person with one dependent may choose a different death benefit than a person with a wife and five children. However, keep in mind that a higher death benefit translates into a higher premium. The life insurance premium is the amount the owner of the policy pays to the insurance company on a regular basis in exchange for the contract. These payments are often paid either monthly, quarterly, or yearly, and the premiums must be paid on time for the policy to remain in effect. Various factors can affect the rate of the premium including health, age, amount of death benefit, employment and lifestyle risk factors. Cash Value is only a part of specific life insurance policies, usually whole life or permanent life policies, which we will explain in more detail later in this article. Cash value refers to the monetary amount that is offered to a policy owner by the insurance company upon cancellation of the contract. It is also referred to as the “surrender value.” Under certain types of insurance policies, if a policy owner decides to surrender or give up the future death benefit, they can receive a certain cash amount instead. This is known as the cash value and to receive it the policyholder gives up their rights to a future death benefit, opting for a cash payout now instead. There are two main categories of life insurance: term and permanent. The simplest explanation for these is that term insurance gives you life insurance coverage for a specific amount of time, for a certain period or term, and you are only covered and receive a death benefit if you die within that specific period of time. Permanent life insurance, on the other hand, covers you until you die regardless of when you die, or in other words, for your whole life. Within each of these main categories there are a variety of life insurance options to choose from. Let’s dig a little deeper to understand each one. 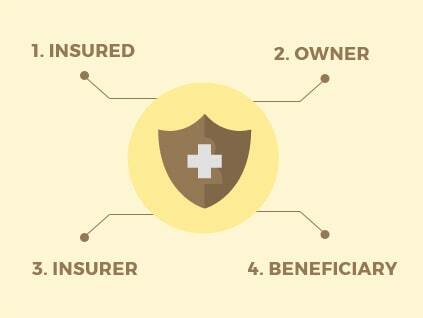 As the name suggests, this insurance plan covers you over a defined term. If the insured’s death occurs during the predetermined term, the death benefit will go to the selected beneficiaries. Terms generally range from 20-30 years, but the exact amount of time will vary from policy to policy. If an insured outlives the term, he or she can renew or terminate the policy. 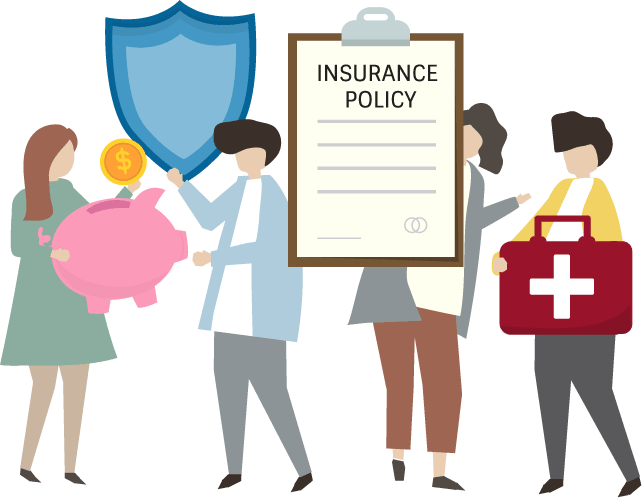 After a term policy expires, some insurance companies will allow you to update it, change it, or even transform it into permanent life insurance. Keep in mind that because you are now 20-30 years older, the premiums on the renewal policy will be much higher and may be cost prohibitive. Some people refer to term insurance as “pure insurance.” This means that you are not building any savings or cash value in the policy when you pay your premium. The insurance company simply takes the money and only pays you money if you die within the term. Term life insurance features no cash value component. 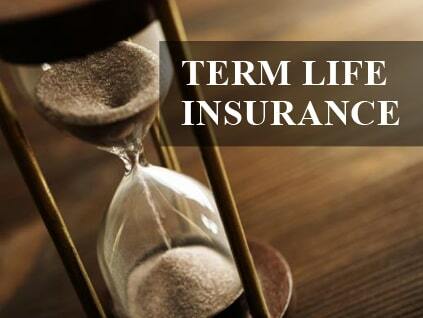 Term life is the least expensive life insurance policy because it covers you temporarily, not permanently. 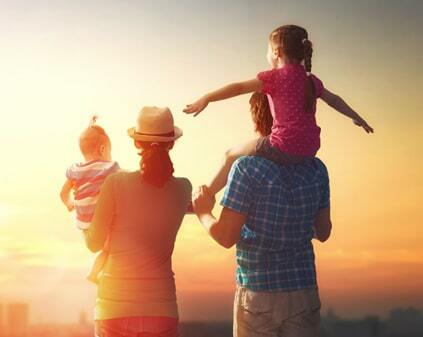 This makes term life insurance the most cost-effective way to get life insurance. Insurance companies can offer these policies at a low rate because the risk of dying at younger ages within the term is relatively low. They offset their risk with the large amount of people paying premiums in comparison to the amount of claims they end up paying. Here’s an example to help you understand. Let’s say you are a 25-year-old software engineer. You don’t smoke, you play basketball recreationally, you lead what would we call “a healthy lifestyle.” You have just started your family and they are dependent on your income to pay the mortgage and other bills, buy groceries and eventually to help pay for your children’s education. Your family depends on your income and will continue to do so for a couple of decades, so you seek a term life insurance that will cover your family for 25 years in case something happens to you. If you die during the term, you know your family will be taken care of and have money to cover their financial needs. So, you obtain a $300,000 death benefit policy for $30 a month. You decide that $30 a month isn’t that much to pay for peace of mind and a guarantee that your family will have income even in the event of your death. In your mind, it’s $30 well spent. If you are an insurance company, you’ll gladly offer a term life insurance policy in this situation. Why? The chances that our software engineer will die in the next 25 years are low. In the meantime, you will collect premiums every month for 25 years. When the term has expired, you will no longer be under contract to pay the death benefit. You will keep the 25 years of premium ($9000) as profit. $9000 isn’t much compared to $300,000 and if the software engineer dies during the term, the insurance company will take a loss of -$291,000. However, because insurance companies have term policies with lots of different people, they spread the risk of that loss over many policies. Since most term policies never have to be paid out, they end up making a profit and can offer you the term life insurance policy at this very low rate. In comparison, if the software engineer chose a permanent life insurance policy instead of term, it would cost nearly ten times that amount, at $200-$300 a month. 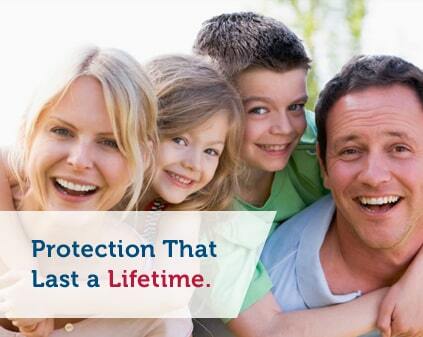 Permanent life insurance provides lifelong protection and a death benefit no matter when you die. Permanent policies remain valid and in force for as long as you continue to pay your premiums. People who choose a permanent life policy over a term one want coverage for their entire lives not just a selected period. Some people may want coverage even after their kids are grown or the mortgage is paid. It allows you to provide for your loved ones after you have passed away and pass money on to your children and grandchildren even if they don’t need it for daily living expenses. Permanent life insurance policies also have the ability to accumulate cash value from a portion of the premiums you pay. In other words, part of your premium goes into a savings vehicle that can be obtained after a certain amount of time by surrendering the rights to the death benefit. Cash value accumulates tax-deferred like money in a retirement account, but the money can be used for anything you want. You can borrow from the cash value as well and lending rates are relatively low. Be aware that if you don’t repay the loan (with interest) the death benefit and the cash-surrender value will be reduced. Additionally, you can also use cash value to pay your premiums for a time. If you stop paying your premiums altogether and surrender your policy, the guaranteed policy cash value is still yours. It takes time to build up the cash value in your policy, so understand that if you surrender your policy in the early years, there may not be much money there. It’s also important to know that the cash value is different than the “face amount” or death benefit. Cash value is only the amount you have saved inside the policy and not the amount that is paid out in the event of death. The amount of actual cash value can also be affected by how the money is invested by your insurance company and other market influences. 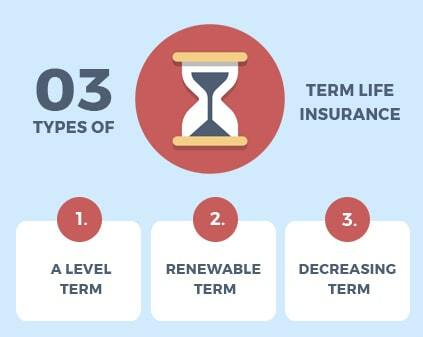 There are three types of term life insurance. Note that these insurance policies can be further customized and tailored to your specific needs particularly if you find a flexible insurance company. These three types are a level term, renewable term, and decreasing term. A level term policy is one that has a fixed premium for the duration of the policy. You may the same amount every month or every quarter for the term of the policy and the premium amount does not increase or decrease over time. A yearly renewable term policy is often much more flexible than a level term policy. Keep in mind that when you renew it, the premium isn’t fixed. The amount of the death benefit is always guaranteed to be at least the same as it was the year before regardless of the insured’s insurability, however, the premium will go up every year as you age. And then there is the decreasing term policy, which, is almost an amalgamation of the first two. Decreasing term insurance is renewable term life insurance with the death benefit decreasing over the life of the policy at a predetermined rate. Premiums are constant and reductions in the benefit happen monthly or annually. Terms range between 1 year and 30 years. There are many different variations of permanent life insurance. We will go over the basic differences of many of these in this article, but even more specific information can be learned from a qualified life insurance agent. Understand that there are lots of options for providing the death benefit and for the investment of the cash value and this creates the differences in the way these policies are set up. 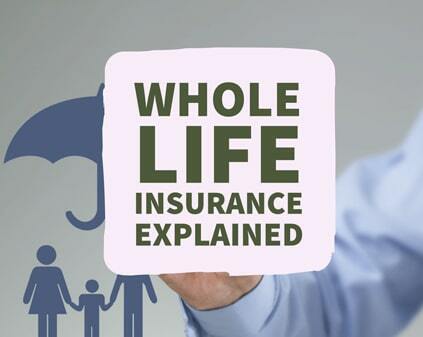 Whole life insurance policies provide predictability. These policies provide a guaranteed death benefit and a guaranteed rate of return on your cash value investment regardless of what the market does. Additionally, the premium is level and never decreases or increases and does not change as you age. Another valuable benefit of certain Whole Life policies is the chance to earn dividends. Your policy has guarantees for a minimum death benefit and minimum cash value, but dividends offers you the opportunity to receive an enhanced death benefit and a greater cash value. Dividends are the way for the insurer to share its favorable earning with its policy holders. If you purchase a whole life policy you can start earning dividends in the second year of the policy, but keep in mind that they are not guaranteed. The downside to whole life policies is that the premiums can be high and because they are fixed, they can be hard for young families who are just starting out. 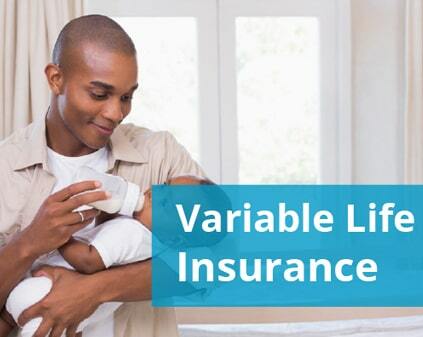 Variable Life insurance is a type of permanent life insurance that offers a death benefit and a cash value that varies with the performance of the portfolio and investments. In other words, the death benefit and the cash value is not guaranteed but is dependent on the investment performance of the premiums. With variable life, you pay a fixed premium and then allocate your premiums among a variety of investment options like stocks, bonds, mutual funds, etc. As the investments grow or diminish, so does the death benefit and the cash value. Good performance equals higher benefits; poor performance causes the benefit and cash value to drop. These policies have a degree of risk involved and depending on your investment selection this risk can be higher or lower. This type of insurance is perfect for people who are willing to assume investment risk to try to achieve greater returns. When you purchase a variable life policy, you are shifting much of the investment risk from the insurance company to yourself. Unlike Whole Life and Variable Life policies which have fixed premiums, Universal Life policies have adjustable premiums. This allows you to have more flexibility when it comes to paying your premium. You have the option to pay higher premiums when you have more money available and you can pay lower premiums when things are tight. After you pay your first initial payment, Universal Life policies allow you to pay your premium at any time, and except for specified minimum and maximum amounts, you can pay any amount as well. The only real requirement is that you meet your “cost of insurance” or COI. Your premium is used to cover various expenses and your COI is the bare minimum amount to keep the policy running and active. And, as long as you are paying your COI, you are all set. 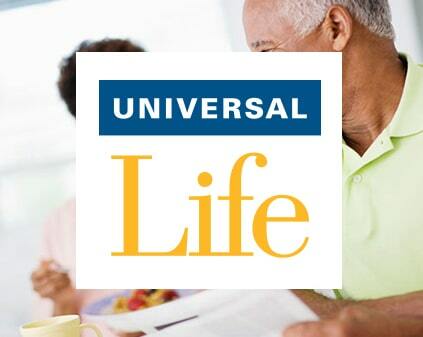 Universal Life policies also allow you to increase or decrease the death benefit over the life of the policy. In general, there is much more flexibility in this kind of permanent policy than others. Universal Life will also provide a guaranteed rate of return on your cash values, but there are important limitations to this guarantee. If you choose a Universal Life policy you will need to understand these in more detail and your insurance agent can help you navigate these contingencies. 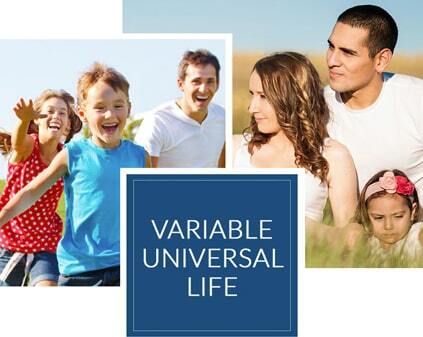 Variable Universal Life insurance is a combination of the last two types of policies we talked about. These policies offer flexible premiums and the money is invested into a variety of investment accounts of your choosing. Again, these investment options have a degree of risk and their performance will change the death benefit and cash value. These policies are a good choice for people seeking maximum flexibility who do not mind a level of risk. If your insurance needs change over time, Variable Universal Life usually provides the ability to increase or decrease the amount of your death benefit coverage. You can also make lump-sum payments to increase the policy’s cash value. Additionally, if you are short on cash, you may be able to skip a scheduled payment and let the accumulated cash value cover the policy’s expenses. Keep in mind that the cost of insurance and administrative expenses are still incurred. Over your lifetime and as your life insurance needs change, your investment goals and risk-tolerance will also change. With Variable Universal Life policies, you have lots of flexibility to move funds between investment vehicles, tax free. We have given you just a general overview of term and permanent policies. There are variations even with these subcategories that you can use to get the exact policy you need. We recommend that you seek the advice of an experienced insurance agent as you get closer to choosing a policy so that you can understand the exact specifications, benefits, and limitations of your choice. As we already said, most insurers will allow you to fine-tailor your life insurance policy according to your needs. Instead of juggling between various plans, you can also supplement your coverage with a specific rider. 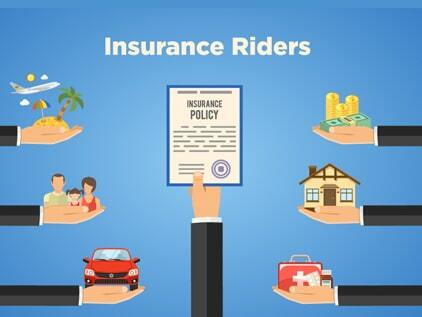 A rider is a provision of an insurance policy that changes or adds to the coverage or terms. Most riders add coverages for an additional cost. There are many kinds of riders that you can learn about through your agent, but we will talk about a few of them here. An Accidental Death Benefit Rider provides an additional payment if your death happens because of an accident. This additional payment can be as much a double the original death benefit. 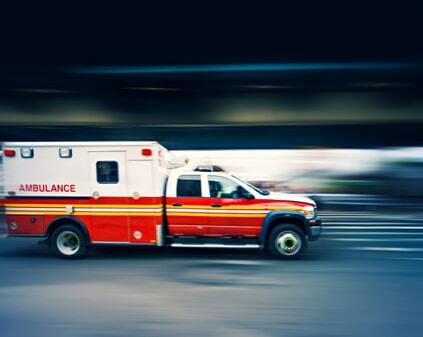 If you work in a dangerous environment or have a long commute, an accidental death benefit rider might be a good rider to consider adding to your policy. Accidental death benefits do have limitations and are not paid for those who die in military combat, from self-inflicted injuries, or from “hazardous hobbies” (such as skydiving, deep sea diving, motorsports, mountaineering, etc. ), among other reasons. This rider allows the insured to stop paying premiums in the event that he or she is disabled for at least six months. Some disability income riders also provide monthly income payments at the rate of 1-2% of the full value of the policy. For example, if you have a life insurance policy for $500,000, the disability income rider would provide from $5000-$10,000 of income every month. 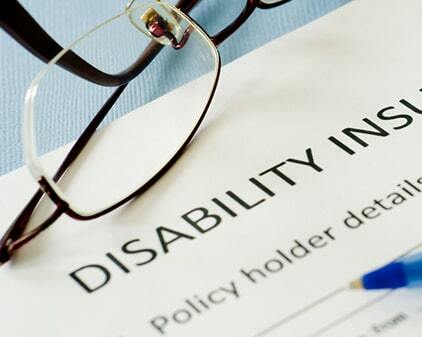 The benefit of a disability income rider is that it allows a person with a life insurance policy to continue to receive coverage even if they can no longer pay the premiums because they have suffered a disability. This means that even though the premiums could no longer be paid, the beneficiary would still receive a death benefit, and for qualifying policies, cash value would continue to grow, and dividends would still be paid out. 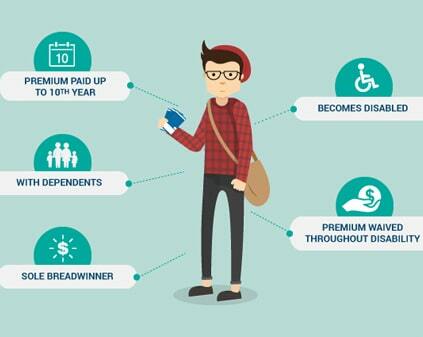 Waiver of premium rider is a broader version of the disability income raider. This rider waives premium payments in the event the policyholder becomes critically ill, seriously injured, or disabled. Again, even though the premium is no longer able to be paid, this rider allows the death benefit and cash value to still be available for the beneficiaries. Not everyone that gets life insurance needs to add riders to their policies. But each rider that is available serves a unique purpose and adds to your death benefit. 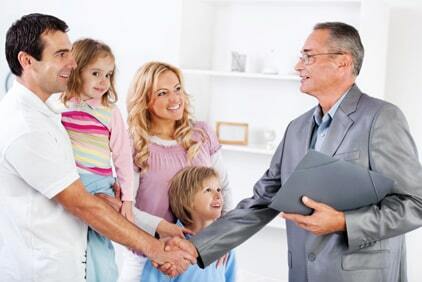 You can discuss your particular insurance needs with an insurance agent or a broker. They can help you determine exactly which riders make the most sense for your situation. The younger you are, the cheaper the premium. The older you get the more the risk goes up for the insurance company that they will have to pay a claim. Your age is big factor in the price of your premium. Anything that compromises your health is going to raise your premium. Again, this is a matter of increased risk. If you smoke, your premiums will be higher. How you live your life and the activities you participate in will also affect your premium. If you have a dangerous job or engage in risky hobbies this can increase your premium. A healthy, active lifestyle will decrease it. Your driving record can play a role. Your current health, your medical history and the medical history of your family can also affect your premium. Women have an longer lifespan on average and so they generally have lower premiums than men. Obviously, the more insurance coverage you have, the higher your premium will be. If you want a bigger death benefit for your beneficiaries, you will pay more in premiums. If you have dependents who rely on you for income, you need a life insurance policy. This answer depends on a number of factors including what you are going to use the insurance for. If your goal is to provide a death benefit while your children are young and get it at an inexpensive rate then you probably just need a term policy. If you want the security of being able to pass money on to your children or grandchildren no matter when you die, then you will likely select a permanent policy. From there, your selection will depend on the amount you want to pay on premiums, on your risk-tolerance, on your need for flexibility in your policy, as well as other factors. Again, a knowledgeable agent can help you assess your needs and your situation so that you can arrange the right coverage at the right price, so the benefit is there when and if your family needs it. Insurance agents are experts at what they do. They know the ins-and-outs of policies and riders. They know how to customize policies for your exact needs. Talk to an agent to answer your questions and find a policy that will protect your family. In the insurance business, there are captive agents and independent agents. A captive agent works for a single insurance company and knows the insurance products of that company. They are loyal to that company and they sell their products regardless if they can find their clients a better deal somewhere else. On the other hand, independent agents, or brokers, work as a broker between you and many different insurance companies. Because they are not loyal to one particular company, but only to their customer, they can find you the best deal for your needs. Their business is built on the ability to find you exactly what you need and they put your needs first. Brokers (or independent agents) work with multiple (with, not for) insurers—they communicate, negotiate, bargain, and create the best policy at the best price for you. Brokers make their living and build their credibility by making their clients happy, not by pushing one company’s insurance products. If you live in Arizona, talk to us. We are Insurance Professionals of Arizona and we are independent insurance brokers. We have decades of experience in life insurance and know how to get you an affordable policy that will protect your family and provide for them in any situation. Life insurance is not for those who die; it is those who are still living. As you think about your personal situation and those who rely and depend on you, consider what they would do if you weren’t here. Plan ahead and protect them from financial difficulty. You can set up a straightforward term life insurance policy for a very small monthly premium and get peace of mind knowing that they are provided for. Life is uncertain and has no guarantees, but having life insurance does provide a financial safety net. At Insurance Professionals of Arizona we are happy to answer your questions and provide any information that can help you as you look for the right life insurance policy for you. Call us or reach out to us today and we will be happy to guide you through the process.